On the map you will find galleries, museums, art collections, municipal galleries and cultural institutions in Berlin. The search makes it easy to intuitively find the places you want to explore. By clicking on the respective entry, you will then find all desirable information, such as: Opening hours, contact details, GoogleMaps etc. In the five rubrics shown below, we show examples of excellent examples of galleries, municipal galleries, museums, art collections and cultural institutions in Berlin. In addition to New York and London, Berlin is one of the three most important art cities in the world. Around 440 galleries represent about 6,000 young and established artists from all over the world. It is estimated that over 20,000 artists currently live and work in Berlin. Click here for the Map of the Established Galleries in Berlin, here to the Map of the Young Galleries in Berlin and here to the Map of the International Galleries operating worldwide. The municipal galleries Berlin are institutions of the district offices of the country Berlin. There are currently 28 municipal galleries and venues in Berlin for organizing art exhibitions organized in cities. These are places of cultural education, of artistic presentation and experimentation as well as of discourse. Some of these galleries have existed for decades, the oldest in Pankow since the mid-20th century. 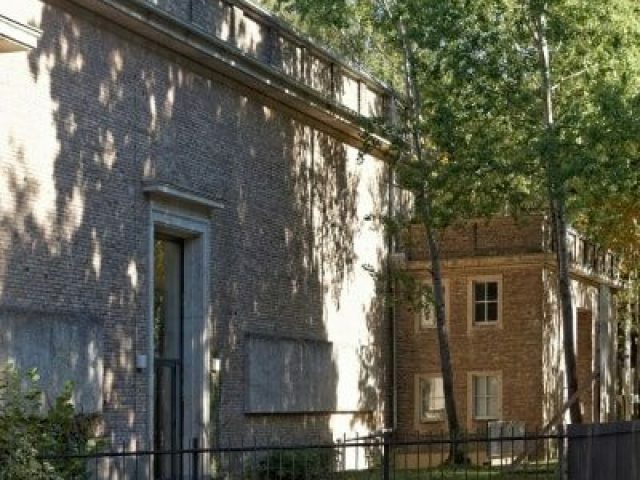 The New National Gallery is closed since January 2015 unfortunately for several years due to important and substantial restructuring and is only involved sporadically in cultural events (for example, Berlin Art Week 2015) . Nevertheless, it’s worth a walk around the only building by the famous German-American architect Ludwig Mies van der Rohe built after WW2 in Germany. 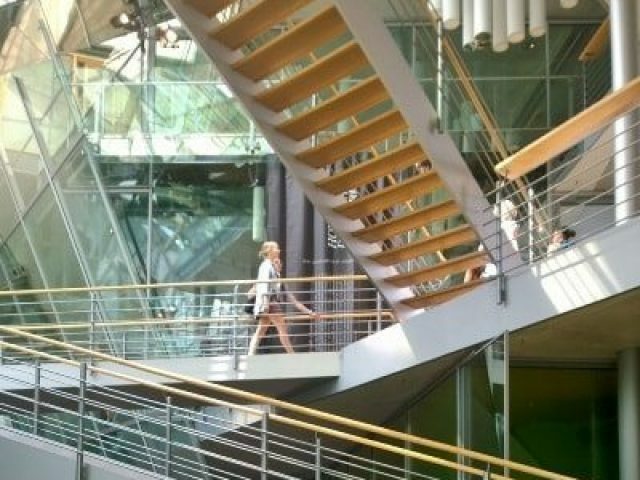 Because it is located near the Cultural Forum (Kulturforum), the Philharmonic (Philharmonie), the Potsdamer Platz and the new gallery district at Potsdamer Straße, a visit can be combined perfectly. The construction of the New National Gallery is an icon of classic modern art. It was opened in 1968. Image caption: Neue Nationalgalerie. Kulturforum. Berlin-Tiergarten, Potsdamer Straße 50. © Staatliche Museen zu Berlin / Maximilian Meisse © ART@Berlin: Kunst in Berlin Neue Nationalgalerie. Berlin currently has around 170 museums, 17 of which are state-owned (Staatliche Museen zu Berlin / Stiftung Preußischer Kulturbesitz). At ART@Berlin, we focus on the museums where art is shown. 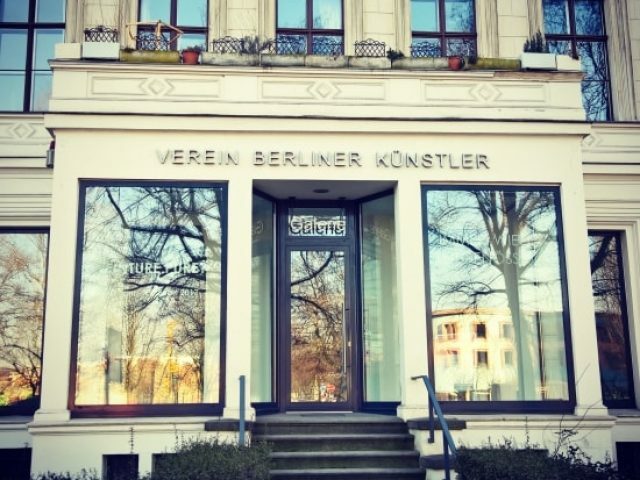 Thus, you will find the 52 most important exhibition venues for museum art along with their exhibited masterpieces here on ART@Berlin. Currently, Berlin proudly presents around 30 private and state-initiated art collections. Many of the private art collectors offer art lovers access to their private collections at fixed times or by appointment. Through guided tours or conversations on site, with a little luck even with the art collector personally, a more intensive art experience can be created than in a museum. Soon you will find here more information about Direktorenhaus – Illustrative e.V.. 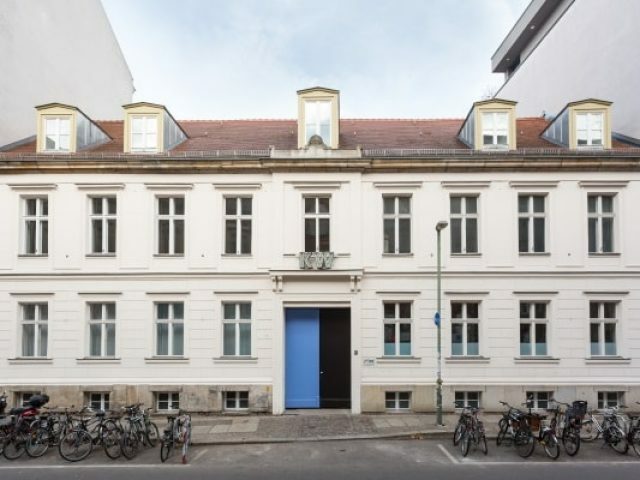 This museum is located on Am Krögel in Berlin-Mitte. © ART at Berlin: Art in in Berlin: Direktorenhaus – Illustrative e.V. In the term “cultural institutions” we assemble places like foundations, institutes, academies, embassies, art associations, etc. ART@Berlin introduces you to a selection of Berlin cultural institutions that devote themselves to archiving, mediating or presenting art.